Please be set up and ready to go by 11:00. I know this cuts into your break but I will make it up to you by letting you go to lunch a few minutes early. Make sure your game is published on public on the Scratch community, with appropriate instructions and acknowledgments. Be sure to add the tag YIS when publishing. This will make it easier for others to find your game in the future. Add the title, link and content taught of your published game on this document. I will share it with the ES teachers in case they want to easily access some of these games in the future. Have fun with the ES students! Be sure to ask their opinion and to watch carefully if they have any issues understanding or playing the game. This is important information for your evaluation. Now that we have completed our designing and planning stages, you should have a very good idea of the game that you want to create. From now until the week of May 19th, class time will be given for you to create your educational game for the kindergarten students. During the week of May 26th, we are planning (though no details are set yet) to set up The Dragons Arcade so our kindergarten buddies can come up and play the games that you have created. This will be very useful feedback for the evaluation stage and will represent the culmination of a lot of hard and creative work by you! 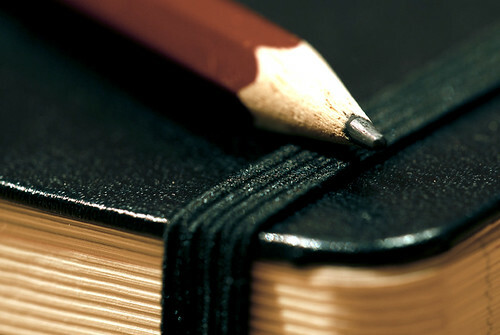 use your process journal to reflect on your overall progress. What is going well?What are you having trouble with? How are you going to address those problems? As you can tell, your process journal is extremely important over this period of time. You will submit your process journal at the end of the creation phase to be assessed, along with your final creation, using the task-specific clarifications. Also, you process journal entries should be dated so that we know when the entries were written. Your final product and your accompanying process journal entries need to be completed by class during the week of May 19. Now that your Investigation is completed (and uploaded to Veracross and Turnitin and you’ve self-assessed your work), it’s time to move on to designing your game and planning what it will take to make it come to life. Check out the TSCs here. What will the user do? What will the user learn? Add any other details that you think might be necessary. Remember to look back at your design brief and your design specs for inspiration/ideas. Once you have written down all of your design pitches, you will need to choose which one you will actually create. You should justify your choice using your design specifications. Now that you know the story behind the game you are going to make, you need to get down to the details of your game. Use this planning document to list out these details. You will also need to complete the Project Timeline section of that document. Part of the planning document includes creating a storyboard for at least 3 phases of your game: the Intro screen, Game Play, and the Game Over screen. These will be submitted to Veracross as a single document and will be assessed using the Task Specific Clarifications. Be sure to check Veracross for the actual due date. For planning purposes, your final creation will be due the week of May 19, depending on when you have class. We will plan to have the Kindergarten students come up to our classroom during the week of May 26 so that they can play your games and give you some direct feedback. Thanks to Kim Wilkens from Tech-Girls and Kevin Hodgson for making their planning and storyboard documents available for remixing! We’ve explored using Scratch as well as some existing educational games on Scratch. We’ve had a chance to interview the kindergarten students to get an idea of what they are like and what they are learning. These are both important stages of our research. Now it is time to write up the Design Brief, the Design Specs and the Product Test. All combined, these things will make up your Investigation and will be assessed on Criterion A. Here is an excellent resource that describes the purpose of the design problem and the design brief. After reading through the resource, write down what you feel the design problem and design brief are for this unit. Be sure to include appropriate information from our research (Scratch tutorials, discussions on game design, interviews with kindy students) in your work. The design specifications are a list of requirements that your design ideas should fulfill as well as a list of constraints that you need to be mindful of. Your design specifications should not limit your ability to design or create your final product. They should help you identify things such as your intended audience, the objective of your solution (what will it accomplish? ), details about the finished product, and the intended usage of your final product. Your design specs should be divided into three categories: Required (“My design must…”), Desirable (“It would be nice if…”), and Constraints (“My design cannot…”). How will you test your final product against your design specifications? How will you test how effective your final product is at solving the design problem you identified? You need to think about these measures of success now so that you can objectively evaluate your product at the end of this project. These three things make up the Investigation stage of your project. This needs to be written up and submitted to Veracross. It will then be assessed and you will have the opportunity to resubmit it if you like. Investigation #3 – What makes a good game? We all love playing games. They might be games on our phones like Temple Run or games on our computers like Minecraft. They might be card games like Uno or board games like chess. As you start thinking about the game that you are going to design and create for the kindergarten students, it is important to start thinking about what makes a good game and why. 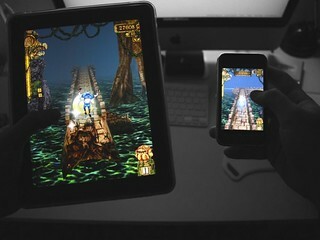 First, start by thinking about games that YOU like to play. What are they? What do you like about them? Since we are going to use Scratch as our programming platform, it is useful to see some examples of educational games that others have created. Find at least three examples of educational games on the Scratch community and link to them. Be sure to include a brief explanation of the purpose of the game and a screenshot! What do you like about this game? What would you improve/change? Have a look at the code and see if you can understand what they have done to create the game. This is a great way to learn new coding techniques and tricks. If you like, you can also include links to other games that you have found Scratch (but only after you have found your three educational games!). Share what you have learned/discovered in a blog post. Link to this blog post so that it creates a pingback so that others can find your post easily. Be sure to include screenshots, links and descriptions of the games so that other Grade 9s can check them out! The goal of this project is to create an educational game for students in our Kindergarten classes. In the near future we will be taking a field trip down to the KG classes to interview our potential clients. What sorts of things do you think it would be helpful to know from/about the little ones to help you design and create this game? We will be talking about these things in class, but you should also be documenting them in your process journal! A summary of what you accomplished in class. A summary of what you worked on outside of class. Any ideas or inspiration you have for your project. Links to resources you found or notes you took. Screenshots of what you have done. This journal should be updated at least once a week and should be a Google Doc (Grade 9 Version; Grade 10 Version) in your shared Technology folder. It should be at least a paragraph (±100 words?) but probably not more than a page. 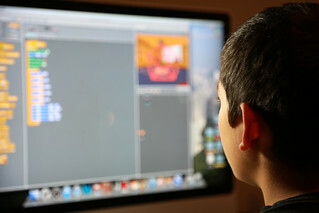 Scratch is a powerful programming environment that has been developed by computer scientists at MIT. Along with the actual program editor, there is a strong Scratch community. Go to http://scratch.mit.edu and join the Scratch community (top right corner of the page). We will explore some of the existing projects on the site later, but for now let’s use a set of tutorials to learn how to create a simple game in Scratch. (Note: these tutorials were created for the previous version of Scratch so the screens will look different and there will be some tiny differences. See if you can work around these!) As you work through these tutorials, be sure to save each lesson as a separate file. Write notes about your progress and take screenshots as evidence. You will use these as part of your assessed work. How can we create a simple computer program that keeps the needs of the user in mind? Design is about the user and not the designer. As we learned from the Hour of Code, very few schools are teaching computer programming at a time when there will be more and more demand for people with computer coding experience. This project is an opportunity for you to explore the concept of coding while also using the Design Cycle to help you create a program that fulfills a purpose. In addition to exploring the Scratch programming language and community, we will also be taking the time to “interview” kindergarten students in the elementary school to get an idea of what their interests are as well as what content is appropriate. Your task will be to design and create a simple game or activity using Scratch that can be used in the kindergarten classrooms to help them learn or reinforce what they have been learning. It can be a math game, a reading quiz or maybe even a Japanese lesson. Whatever you decide to make, you should strive to make it the right level of difficulty and the right level of interest for your audience. Welcome to Grade 9 Design!